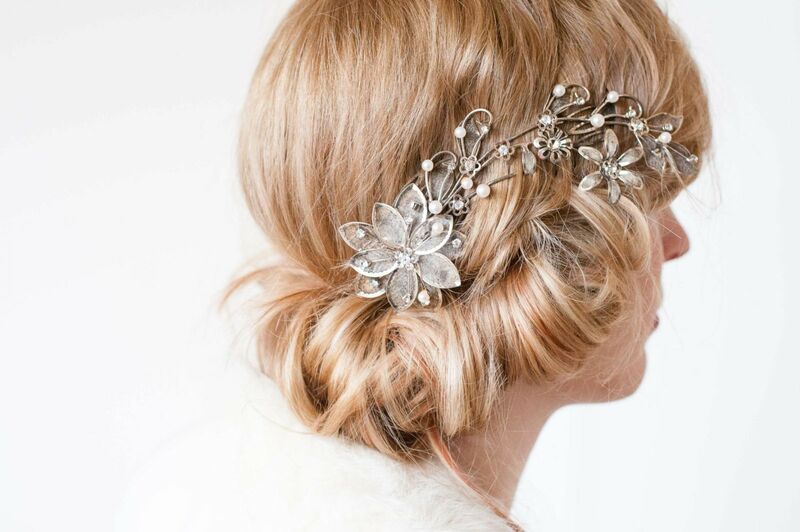 Check out top 10 best hair accessories for bridal ceremonies. Decorate your beautiful tresses with awesome hair ornaments on pre-bridal functions and your wedding day! I love accessorizing my hair. Be it weddings or casual events, I simply adore my head bands and funky hair clips. Hair ornaments and accessories have always been in vogue, be it a ponytail or open hair, tying them up with a colorful band or pinning hair up with a sparkly hair-comb adds glamour to the overall look. There are a variety and styles of hair accessories available to shop for. As far as the pre-bridal functions and weddings or any other formal occasions are concerned, it is best to go with something which has a bit of a festive or formal look to it. Some of the hair accessories which are pretty much trendy these days include, headbands, floral head gears, embellished hair pins and combs (they have always been in fashion), Tikka head chain, hair bulldog clips, scrunchies, corsages, barrettes, bow hair slides and evergreen real flowers arranged beautifully around the traditional bun or a cute braid. There are accessories for all occasions. Depending on your style, attire, makeup and personality, the bride-to-be can look extremely suave flaunting a floral headband on her mehndi night or a gorgeous head chain can adorn her traditional bun on the wedding day. Tikka head chain with open hair can complete the look if you are wearing a Pakistani suit or a designer lehenga. For wedding reception, the bride can either go for scrunchies or a vintage style floral arrangement with an evening gown. It’s all about trying out different hairstyles and decorating them with pretty, cute or funky hair accessories! 1. Messy buns and headbands go really well together. 2. You can even flaunt a headband with short hair. It looks super stylish! 3. Simple bobby hair pins should be worn in plenty. They are catchy yet not flashy. Use them to pull strands off the face, specifically if you are aiming for a neater look. 4. Weave shiny threads with flowers on them or textured ribbons into braids for a stylish look. 5. Tiara is a no-no. It looks pompous and frivolous. 6. For a subtle look, opt for tiny floral arrangement. 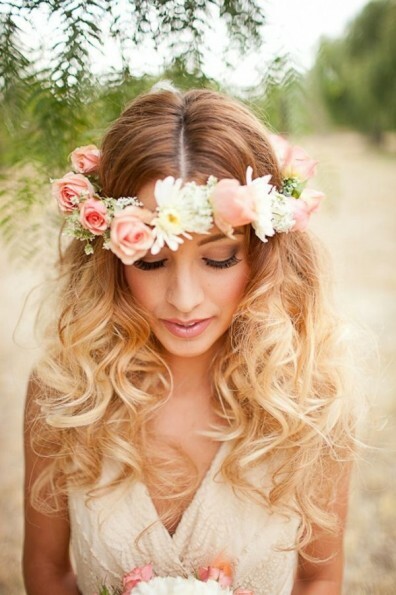 For an outdoor theme, sport bohemian look with a floral headband. 7. For a traditional look, go for a stone-studded tikka or a jhoomar with your bridal lehenga or a salwar kameez. 8. Look hot and exotic with a silver head chain or an embellished headband on your cocktail night. Don’t forget to pack it in your honeymoon suitcase. 9. Bow headbands are playful and a classic hair accessory for hen night. 10. Jewel hair clips look classy with a puffed ponytail or open hair. Don’t overdo though. Wear simple makeup if wearing your hair heavy. Whether you have short hair or long tresses, don’t forget to adorn your locks with hair accessories. Glorify your look by decorating your hair in style for a Zuri-licious you!